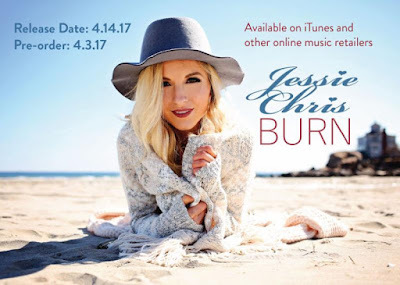 CMA Artist Jessie Chris is releasing her single "BURN" to radio nationwide on March 27. Chris, who is one of the faces of Disney's #ChooseKindness Anti-Bullying Campaign has also added a big name to her team. Chris has just recently added Veteran Label/Music Executive David Nathan to her management team joining Jeff Gulko who has been managing Chris since 2014. Nathan, has guided the careers of several Multi-Platinum and Grammy Award Winning Artists during his career. You can listen to "BURN" by clicking HERE and will be available for download on PLAYMPE on March 27 at 8:00 a.m. EST. Chris was the youngest performer at the 2015 CMA Festival and is scheduled to perform again at it this year and has previously opened for iconic artists to include Luke Bryan, Chris Young, John Rich and Billy Ray Cyrus. In December, Chris was featured on "The Human Race" with Kelsea Ballerini, LOCASH and Scotty McCreery. Chris also serves as an Ambassador Sylvania's "Be The Light" Campaign.